A while ago I had this great idea. 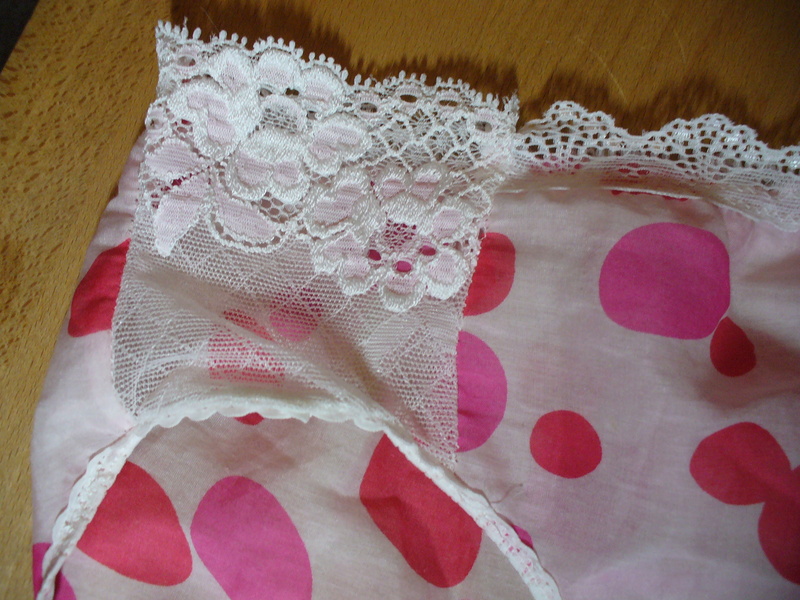 Lets use up a small piece of left over fabric from another project for something quick and easy. Famous last words. I like to think myself usually quite a good judge of what I can get away with when substituting pattern envelope recommended fabric. Alas this time I almost bit off more than I could chew (or should I say stitch?). 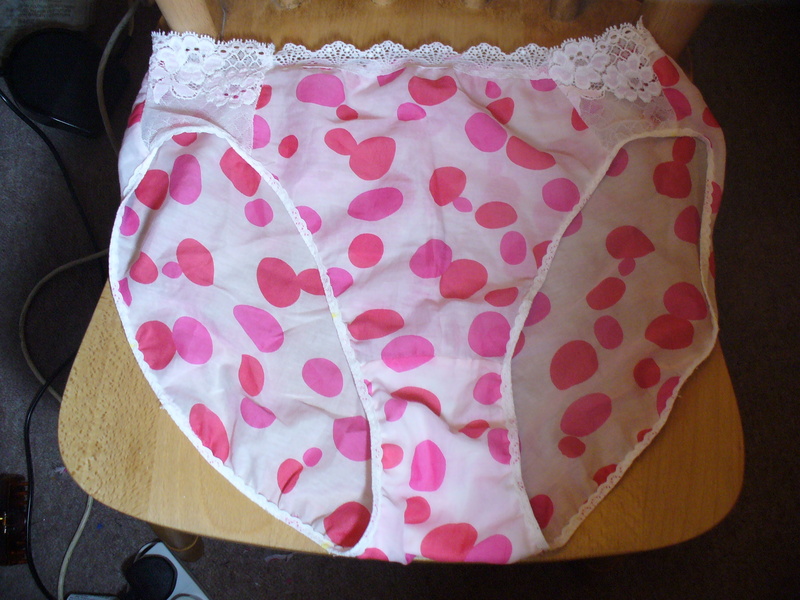 I already had a pattern from making a slip which had a knicker option (Kwik sew 2467). In my initial assessment the pattern looked rather accommodating to say the least. I thought I could substitute the suggested stretch knit with a silk cotton blend. Please, do not try this at home…. I happily stitched up the pattern, adding the elastic at the waist. I then tried them on for size. One problem. Could not get them past my hips. Guess that’s what the “stretch” is needed for. After consultation with a few fellow sewers, I decided to add stretch lace side panels. Call them a design feature. The project fell by the wayside as I had other more urgent projects pleading for my attention. But, at last, a free Sunday. They are now finished, and I can just squeeze them over the hips. Even better. They fit! The following photos are of me in tights for modesty reasons. Nice save, I love making undies too!